Political sociology at the intersection of conflict, migration and development research: state-society interfaces; social mobilisation; local politics; power, legitimacy, and representation in rural and urban contexts; knowledge orders (‘area studies’ debate); mobility and migration. 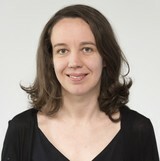 Katja studied at Freie Universität and Humboldt Universität zu Berlin and completed her PhD at the Center for Development Research (ZEF) of the University of Bonn. She has an interdisciplinary study background in social sciences; her research, analyses and policy advice are empirically grounded. In her PhD dissertation, Katja analysed local politics and the effects of intervention in rural Afghanistan. For a post-Doc project, she looked at the nexus of spatial and social mobility and respective mobilization dynamics in low-income neighbourhoods of peri-urban Lahore, Karachi and Kabul. Her recent scholarly interests include forced (im)mobility, Kurdish actor networks, subtexts of peace processes and negotiations (economy of peace), transnational religious economies, radicalization dynamics and (countering) violent extremism. Katja has given advice to German ministries as well as to GOs and NGOs such as GIZ (IS), Concern Worldwide, and Welthungerhilfe. Meininghaus, E., Mielke, K., & Mutschler, M. M. (Eds.). (2019, February). Stabilisation—For Whom and to What Ends? (BICC Knowledge Notes series No. 1/2019). Bonn: BICC. Meininghaus, E., & Mielke, K. (2018, October). Situated Sustainability: A research programme for conflict-affected settings and beyond (BICC Policy Brief series No. 10/2018). Bonn: BICC. Schlüsing, C., & Mielke, K. (2018, May). Deutsches Engagement im Irak: Wie weniger mehr sein kann (BICC Policy Brief series No. 4/2018). Bonn: BICC. Schlüsing, C., & Mielke, K. (2017, October). Drohende Gewalteskalation nach dem Referendum: Wie kann deutsche Einflussnahme in Kurdistan-Irak deeskalierend wirken? (BICC Policy Brief series No. 8/2017). Bonn: BICC. Mielke, K. (2014). Protests in Search of a Movement. Tanqueed (7), 52-58. Mielke, K. (2014). Das neue Kabul: Besitzkämpfe und Interessen im Urbanisierungsprozess. Inamo, 20(78), 21-23. Mielke, K., & Hornidge, A.-K. (2014). Crossroads Studies: From Spatial Containers to Interactions in Differentiated Spatialities (Crossroads Asia Working Paper series No. 15). Bonn: ZEF.